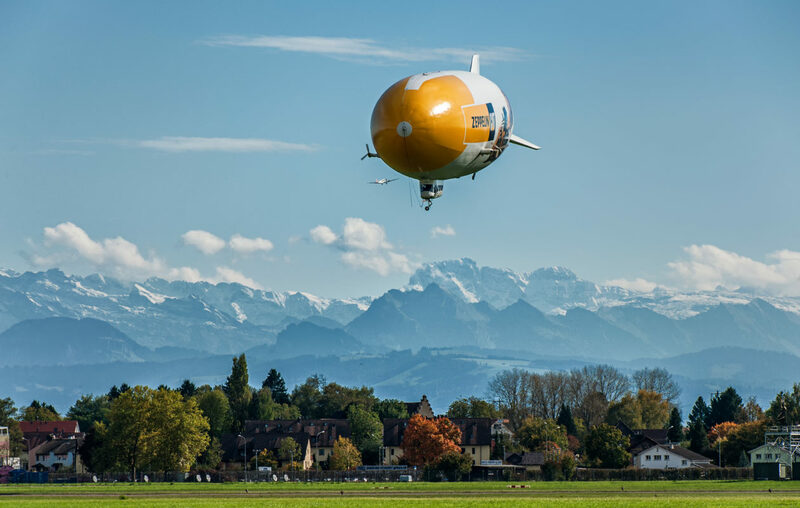 The Zeppelin NT is a multi-purpose passenger airship, certified by European and US-American aviation authorities to transport up to 15 passengers or up to 2 tonnes of mission equipment. It features a semi-rigid design principle, consisting of a high-tech pressurized external hull and a rigid internal framework made from aluminum and carbon fiber. Various kinds of external payloads can easily be fitted to the numerous structural attach points. The large cabin provides ample space for passengers as well as mission racks and operators, still giving room for an on-board lavatory. Its smooth and gentle flight characteristics make it unique compared to fixed-wing aircrafts and helicopters, while it can hover, take-off, and land vertically and cruise with up to 65 kts just like the aforementioned. Its minimum field requirements allow for operation on remote fields which need not to be certified airfields. Due to its innovative ground support equipment, only three ground crew persons are required for operation. This allows the airship to be based very close to its area of operation, maximizing time-on-station. The airship features a state-of-the-art cockpit with large MFD screens and fly-by-wire controls. It can be operated by a single pilot. 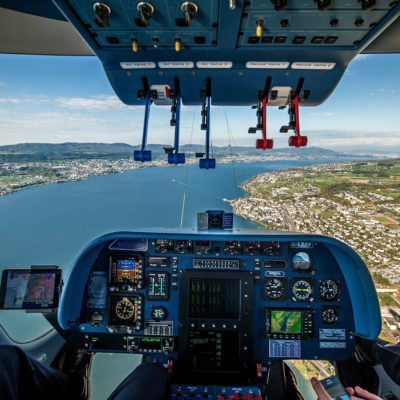 Over the years, cost of operation for scientific missions have proven to be very competitive in the aerial research sector. 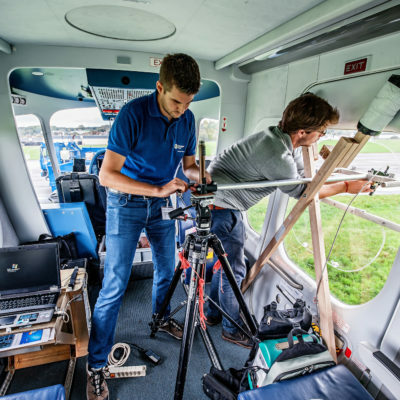 The Zeppelin NT airship supports research in many science fields, e.g. climate and atmospheric research, observation and remote sensing, and geophysics and marine research.